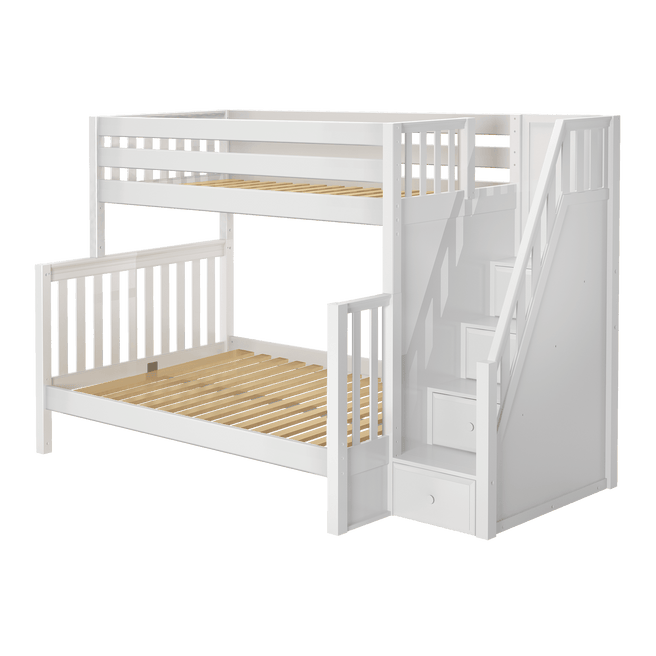 Sleep different sizes and ages comfortably in this extra-long version of our twin over full bunk with stairs! Full XL size bed as bottom bunk = extra space for snuggling, sleepovers or adult guests. Staircase is a safe way for young children to climb into bed, plus each step doubles as a storage drawer. Our high twin over full bunk bed with stairs gets an extra-long makeover. 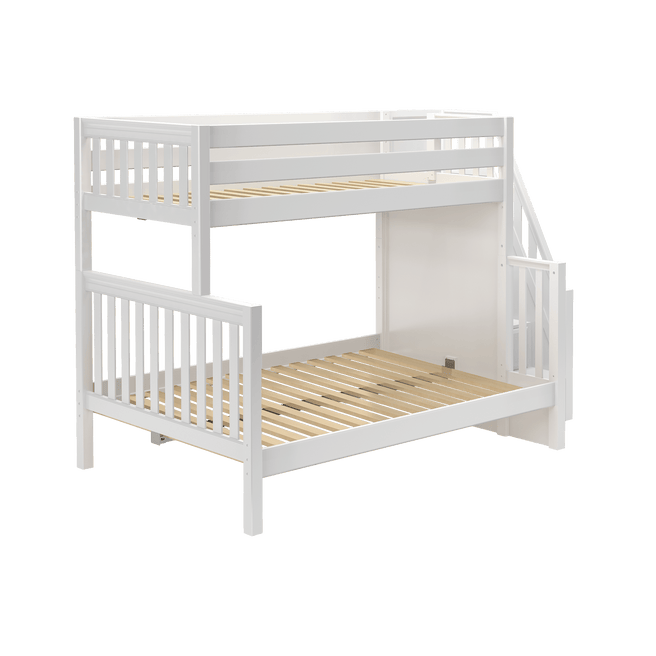 Full XL bed on the bottom + twin XL up top so you’ll always have a place for a friend during sleepovers, or perfect for accommodating an older child in a shared bedroom. Twin XL = standard twin width (42.5”) + additional 4” length (84”). Full XL = standard full width (46.5”) + additional 4” length (84”). Requires Twin XL and Full XL mattresses. Higher bunk = more underbed space. 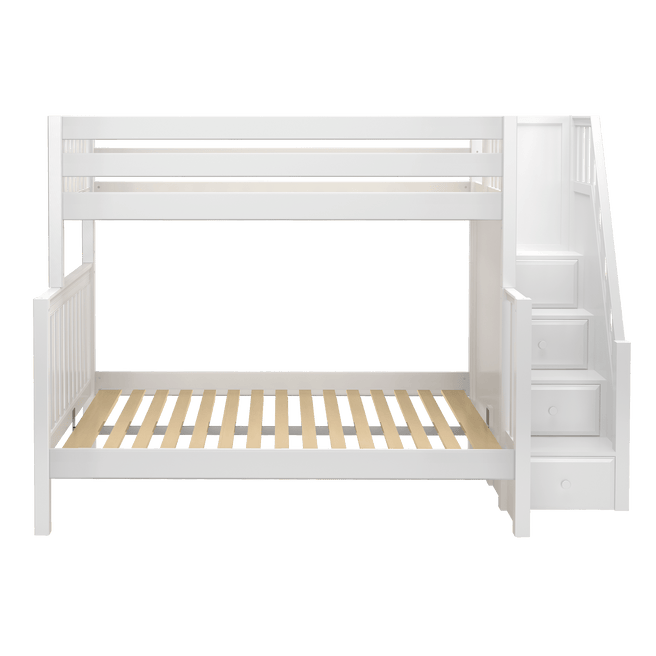 Ample clearance between top and bottom beds means plenty of headroom for both growing kids and adults. Staircase makes it easy for kids to climb up top and plenty sturdy enough for adults as well. Each step has a deep drawer, providing built in storage to help keep your child’s room tidy. Overall: L: 104.75" x D: 57.5" x H: 71"